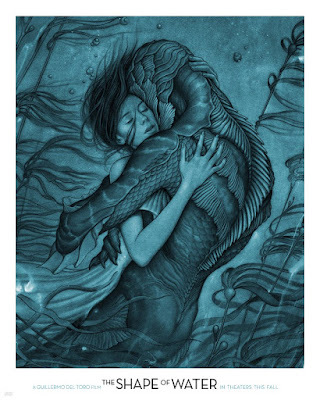 "...in 1963, a mute janitor and her colleague work in a government laboratory and discover an amphibious man in a water tank. "Then the janitor, out of loneliness, befriends the creature..."
Cast includes Sally Hawkins as 'Elisa', a mute woman who works at a lab where an amphibious man is being held captive, Michael Shannon as 'Strickland', Octavia Spencer as 'Zelda', Doug Jones as the creature, Lauren Lee Smith as 'Elaine' and Richard Jenkins as 'Giles', Elisa's neighbour. 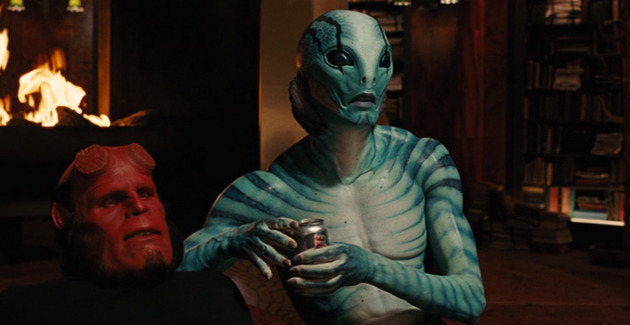 Doug Jones previously played the amphibious 'Abe Sapien' for director del Toro in "Hellboy" (2004).